Granite & other natural stones have a rich beauty that few other countertop materials can match. They are natural-made product with a timeless aura and appeal and reveal some of nature’s finest work in their color, veining and texture. Natural stone countertops can take a high-quality kitchen to the next level visually and often become the centerpiece of the room. With numerous shades of colors, styles and veining, you are sure to find one that blends perfectly with your kitchen cabinets, flooring and walls. Most natural stone slabs are very hard substances and resist scratches and will take normal wear and tear very well. They resist heat too, so its use near a range or cooktop is ideal. When you have to set down a hot pan fast, natural stone countertops can take the heat without being damaged or weakened. In the bathroom, placing a hair tool on it that is still warm won’t be a problem. Granite and other natural stones can be very resistant to stains and generally won’t absorb liquids when they are properly sealed. Arlington Marble Inc. can seal your countertops correctly so that it maintains its attractive good looks indefinitely. Ask your sales consultant to include this option in your quote. Selecting Slabs (Level 1, 2, 3, 4, etc). Granite and other natural stones will often be referred to as “Level 1, 2, 3 or 4, etc”. The most economical slabs are referred to as “Level -1”. As the Color, veining, and “rarity” of the blends in each slab progresses, so does the price. Most importantly, you are sure to find a color, veining and texture that suits your taste and budget and our professional consultants are here to help you make the right choice that results in an Inspiring, Beautiful, Creation™. Nature has provided breathtaking stone options, buried beneath the earth that are the result of incredible forces acting upon mineral combinations, resulting from heat and pressure over thousands of years. The array of color, texture, and veining is spectacular. Most everyone is familiar with granite and marble, but there are many other choices to consider for your countertops and bathroom vanities, including natural, quartzite, limestone, onyx and soapstone, just to name a few. Granite is an extremely hard, durable stone that is available in almost any color imaginable. Consistently popular as a low maintenance, high performance kitchen countertop material, it requires little aftercare if it is cleaned after use. Cleaning is simple with Arlington Marble’s own Diamond Repellant Blue Wash cleaning liquid, complimentary with every kitchen install. In many cases, granite should be sealed using a quality sealer. Once properly sealed, granite will be even more resistant to everyday dirt and spills. Marble is an elegant, classic choice popular throughout the ages. While white marble is the most popular color choice, many other color options do exist. Marble is softer than granite, so it will stain, etch and scratch more easily. Commonly used for bathroom vanities, backsplashes, fireplaces and bar-top designs, it can also be used for kitchen countertops, but users need to be aware it will develop a patina (a slight change in color or texture as it’s exposed to various elements) over time as it wears with use. For this reason, it is not usually recommended for high-traffic kitchens. Onyx is easily identified due to its striking appearance, with alternating bands of color. It is most commonly used as a statement piece, and is often backlit, such as on bar-tops or a statement wall. It can also be used as a backsplash for kitchens and bathrooms but is not usually recommended for countertops or high traffic areas due to its delicate nature. Onyx is a fragile stone that needs to be cared for to prevent scratching and etching. If it is used for countertops, it needs to be sealed properly and then cleaned with special stone cleaner at frequent intervals to help prevent scratching and staining. Quartzite is most often found in white and grey color varieties, and can look similar in appearance to marble, but is harder than marble, making it an attractive alternative for kitchen countertops. Other popular applications include walls, flooring, and stair steps. 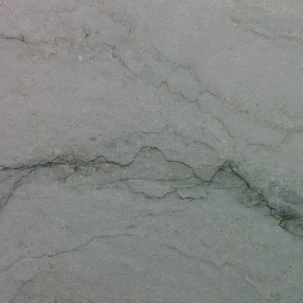 Quartzite usually needs to be sealed when it’s installed, to help it resist stains. It should be cleaned regularly with a damp cloth and mild soap and any spills should be wiped up immediately. Soapstone is a durable stone that is softer than granite and primarily composed of talc. Most commonly found in light grey hues, it can also have tones of blue or green. It is heat resistant, which makes it ideal for fireplaces. Soapstone lining in a fireplace can quickly absorb heat and remain warm for some time after the fire is out. It can also be used for kitchen countertops. Scratches can be easily repaired with ordinary sandpaper and mineral oil. Due to its non-porous nature and resistance to extreme temperatures, soapstone is a popular choice for outdoor kitchens. Using natural stone for a project presents an exciting array of choices. Ultimately, the choice of stone is down to personal preference, but the factors discussed above should be taken into consideration to help with the decision-making process. Our professionals at Arlington Marble Inc, are ready to assist you in selecting the perfect natural stone for your new construction, commercial project or remodel project. Overall, synthetic (or quartz) slabs have added a whole new dimension of choices, colors and textures to choose from to make your next project an Inspiring – Beautiful – Creation™ so keep them in mind for your next kitchen/countertop project.